Bold and the Beautiful spoilers divulge that Brooke Logan and Donna Logan confront their sister Katie Logan over turning down Bill Spencer on B&B. 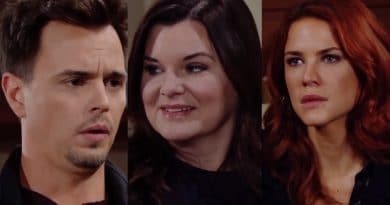 ‘Bold and the Beautiful’ Spoilers: Bill Tempted by Shauna After Katie Rejection? 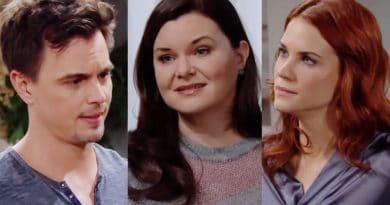 Bold and the Beautiful spoilers hint Bill Spencer may be back to bad habits after Katie Logan’s rejection nudges him to Shauna Fulton’s path. 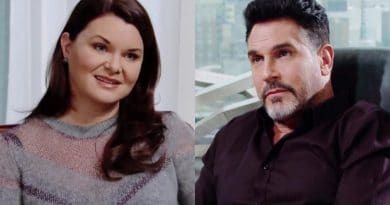 Bold and the Beautiful spoilers say Bill Spencer proposes getting back together to his ex-wife Katie Logan, who may not agree with his idea. ‘Bold and the Beautiful’ Spoilers: Is Katie Crazy To Take Dollar Bill Back? Bold and the Beautiful spoilers reveal Katie Logan is considering taking Bill Spencer back. Is she crazy for taking a second look at her ex? 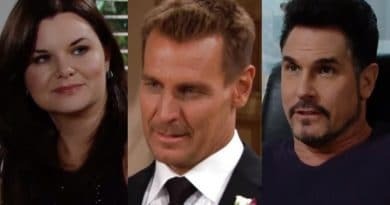 Bold and the Beautiful spoilers reveal that Bill Spencer may work to win back either Katie Logan or Brooke Logan. Who will he choose?